Simply put, a mole is a unit of measure equal to 6.022 x 1023. (Do you see why today is Mole Day now? 10/23, 6:02 – pretty clever, huh?) Much like a dozen is equal to 12 (this could be doughnuts, eggs, people, etc. ), one mole is equal to 6.022 x 1023 atoms, molecules, electrons, etc. Historically, the mole arises from the fact that atoms are EXTREMELY small, and practically impossible to count. Because there is no easy way to count them directly, the idea of counting by weight came about as a way for scientists to know the number of atoms in a sample. 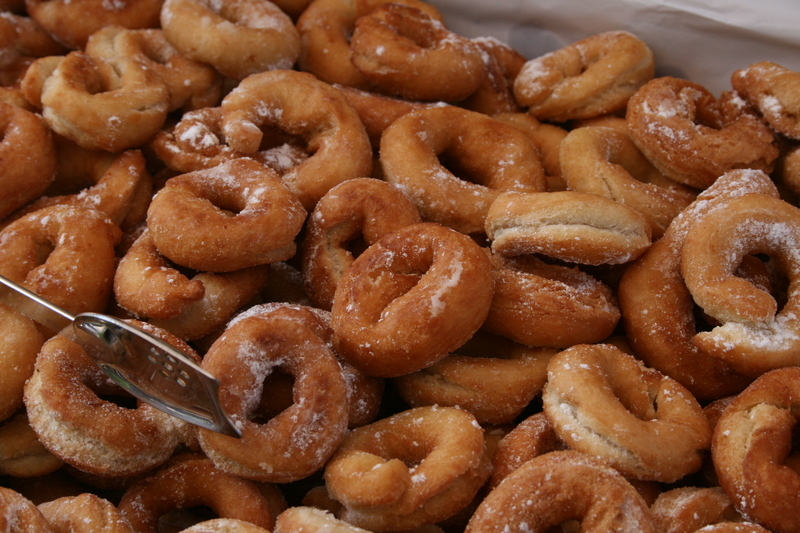 To illustrate, if we know that a doughnut weighs 3 oz., we know that a dozen doughnuts weigh 36 oz. (36 oz./dozen). Doughnuts come in lots of different sizes, though, so this type of measuring would be impractical to use for doughnut-counting purposes. Fortunately, the components making up atoms do not change. Thus, if we want to know how many atoms are in one pound of something like gold, we can use the fact that it consistently weighs 0.4 pounds/mole to calculate that a pound has 1.5 x 1024 atoms! The size of a mole really is mind-blowing. It is a HUUUUGE number: not written in scientific notation it would be 602,214,199,000,000,000,000,000. So how can we think about this number in terms of things we’re more familiar with? On Earth, there are approximately 7.5×1018 (or 7,500,000,000,000,000,000) grains of sand.1 That’s a LOT of sand, but on all the beaches on Earth, we are certainly nowhere near a mole of sand. If we zoom outward into space, our Milky Way galaxy has 20 billion (or 20,000,000,000) observable stars.2 Once again, this is nowhere near a mole. 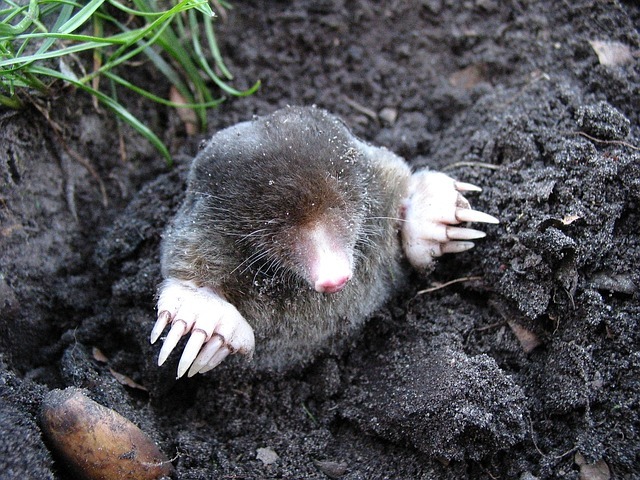 However, even though one mole can seem overwhelmingly LARGE, it is something that you can tangibly hold on to as well. In an average sized drop of water, there are actually 4.7×1020 water molecules3 (or 470,000,000,000,000,000,000) – that’s about 0.8% of a mole. You actually drink more than 1 mole of water every day! The next time that you pick up your water bottle, just think about it: there is a larger number of water molecules in that bottle than the number of all the grains of sand on Earth or stars that we can see in the Milky Way galaxy. At the CSN, we use the mole as a unit of measurement all the time in our calculations to determine how to best run our experiments and synthesize our nanoparticles. It allows us to determine how many atoms or molecules of different elements are present in our samples. For example, one particular material we’re interested in studying is a battery material composed the elements lithium, cobalt, manganese, and nickel. Thanks to the mole, we can determine how many atoms of each make up this complex material. This is super helpful to ensure that we know exactly what we are exposing different biological samples to. We even have the ability to change the molar ratio of each element to figure out any effects this may have on our biological samples. We at the CSN wish you all a happy and healthy Mole Day full of crunching numbers, listening to awesome Mole Day songs, doing science, and celebrating the awesomeness that is Mole Day! 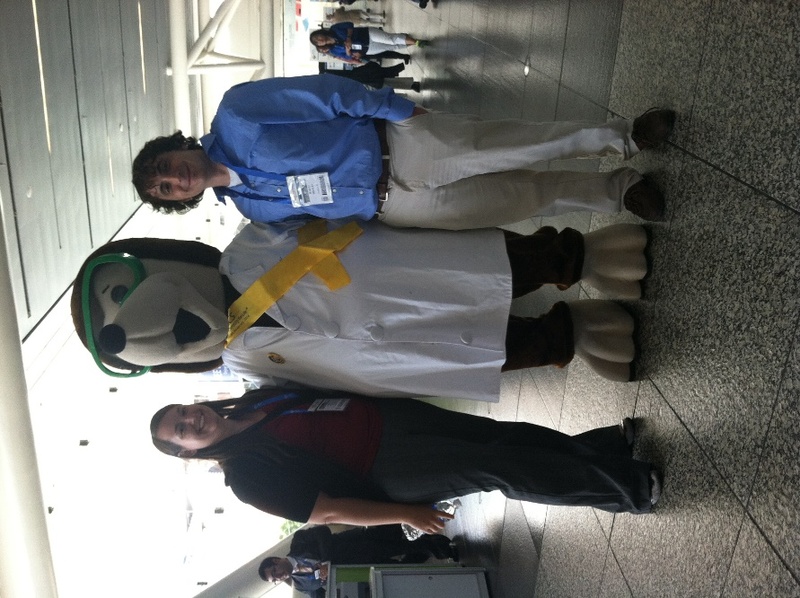 Two of the authors, Arielle and Marco, with Prof. Molenium at the ACS Meeting this past August.